200-hour residential hatha yoga teacher training course registered with Yoga Alliance, USA at yoga school Rishikesh Yog Peeth (RYS 200,RYS 300). Traveling to India to learn yoga was the right thing to do for me. My concept of "yoga" was transformed from the Western physical activity to the spiritual Indian experience. It's a perfect introduction to the complex discipline that is Yoga--and it is explained in a friendly way. RYP made the experience a non pretentious process which I feel enabled me to understand the true meaning of yoga. I would totally recommend this course to anybody who is interested in learning about the self and Indian culture. 200-hour residential hatha yoga teacher training course registered with Yoga Alliance, USA at yoga school Rishikesh Yog Peeth - Rys 200, Rys 300. I had such an amazing time at Rishikesh Yog Peeth. I attended the TTC in April 2011 and am still sending people I meet who are interested in yoga in the direction of Rishikesh. The staff was always kind and helpful and I made some incredible friends along the way. This was my first time in India and was a great bridge (literally!) between Western society and India. I cannot wait to go back and do my 500 hours training! I'm happy to answer specific questions anyone might have. I know the school has change quite a bit in the year and a half since I was there, but there are a lot of things that will never change in Rishikesh, and I think that's what I love about it so much. Namaste! This yoga teacher training course was life changing. There are not many places you can go for a long period of time and learn about the nature of the world; the universe. I have been waiting for an opportunity such as this to come my way for many years now and am so happy to have experienced the intensive study with Rishikesh Yog Peeth. Best of luck to the organization in the future. 200-hour residential hatha yoga teacher training course registered with Yoga Alliance, USA. When I first arrived in Rishikesh for the 39th Yoga Teachers Training (June-July 2012), I was surprised about all the facilities provided by Rishikesh Yoga Peeth. The staff was helpful and friendly, the food was great and the accommodation surpassed all my expectations. The teachers Roshan and Sanjay stated an example of competence and knowledge and the chance to get to know with such amazing people from all over the world was wonderful. I was surprised as well about all the activities that the school offered us in our free time. Rishikesh Yog Peeth was one of the most enriching experiences of my life so far and for sure I will definitely go back to the place where I was honored to get my first yoga certification. Nowadays, gaining more and more experience into the Yoga business, I can see how important was to have had the chance to join the yoga teacher training course at Rishikesh Yog Peeth. Thank you all. 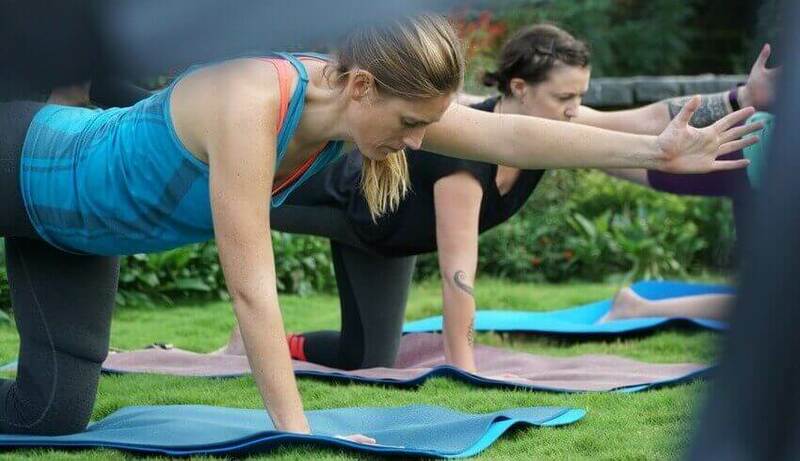 200-hour residential hatha yoga teacher training (level 1) and yoga instructor courses in India at yoga institute Rishikesh Yog Peeth - Rys 200, Rys 300. While contemplating where to complete your Yoga Teacher Training (YTT), all you can do is trust. You trust the reviews, you trust the people at the school with whom you communicate, and you trust that travelling the distance to India will be worth the time and money invested. I recently earned my 200-hour yoga teacher certification from Rishikesh Yog Peeth, and I can honestly, absolutely, and without hesitation say that it was worth every penny. The program cost about half the price of most YTT courses in the U.S. Yes, you pay the difference in travel and visa expenses, but that additional cost gives you a cultural adventure that cannot be replicated in the U.S., or your respective country. The teachers are all Indian, and were raised with the philosophies that they teach at the school. They are firmly rooted and passionate in their convictions that yoga is not about "asana" but a way of being, a way of melding the body, mind, and soul. My body felt soothed every time I left an asana class with master teachers Narendra, Deepa, or Jeet. My mind was nourished with the philosophy and anatomy teachings of Roshan, the director. Everything fused together perfectly at the end of the six weeks. The staff are friendly and helpful, attending to your every need with care. The accommodations are private enough to be alone if you wish, but public enough to form a community bond with your fellow students. Again, I would not hesitate to repeat this experience, and I'm already considering returning for their 300-hour course. Namaste to everyone at Rishikesh Yog Peeth! One of the best things that Ive done in my life. Loved the philosophy classes !! Now I work as full time yoga teacher with more than 13 classes per week and Im already planning to do my 300 hrs in Rishikesh Yog Peeth next year. From the people, students, classes and environment...was all what I was looking for. On my free time I did extra practice or study so really is up to you how much you get from the training. I love the way they teach traditional practice, I have already sent few of my students to do the training there. Love it !! !